Sit back, relax and come along with us as we get to know another fabulous crochet designer this week. This time we get to Meet N Greet Abbey from The Firefly Hook better! Meet N Greet Abbey! Let’s relax and take a few moments to get to know this talented lady. I will ask the questions we’re all dying to know the answers to, and she’ll give us an idea of how crochet fits into her world. I can’t think of a better way to spend my morning! What is the first project you ever made? My mom taught me to crochet a baby blanket. It turned into a trapezoid and I cried. What is your favorite crochet hook? I love Addi hooks. I love the smooth metal hook and shaft and the comfy, grippy plastic handle. What is your favorite yarn? Malabrigo – all of Malabrigo. Why? Because it gives wool a good name. It’s soft and lovely and high quality and totally work every penny. When did you start crocheting? When I was 8. Where is your favorite place to crochet and why? In my comfy chair at night while watching my favorite show (Gilmore Girls). What is your most favorite project you ever made and why? 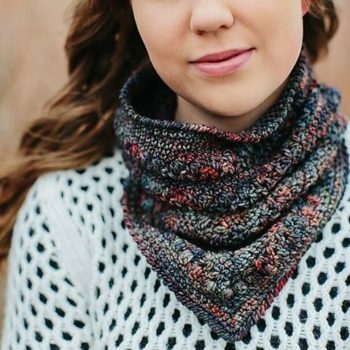 My favorite project so far – probably The Casper Mountain Cowl. 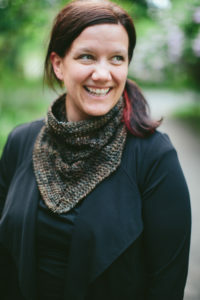 It was fun to design something a little different and really make the yarn I was working with shine (Malabrigo Arroyo). What is your favorite crochet stitch? The Crab Stitch. I’m a little obsessed with finishing my pieces with it. I love how it gives my edging a finished look without much fuss or time. When did you know crochet was a passion of yours? Since crochet has been apart of my life for so long I don’t know if I could pin-point when it became a passion. But I think once I wanted to pass my skill along to others and watched them learn and grow in their own talent it really and truly solidified my passion and made me want to crochet, and teach others to crochet, forever. What crochet designer do you admire most? Bethany from Whistle & Ivy. She is talented and kind and isn’t afraid to encourage other designers in their work. Do you have any advice for crocheters? Never give up! Keep crocheting and teach others to crochet. Find ways to bless others through your craft – whether it’s teaching someone or donating a project or yarn to a worthy cause – do it! Where can fans find more information about you, your blog and on social networks? Thanks Abbey, it was a pleasure to get to know you better! 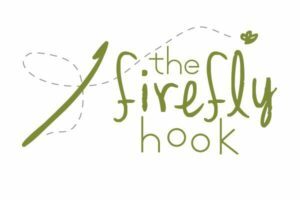 We’re all looking forward to what’s next for you and The Firefly Hook!